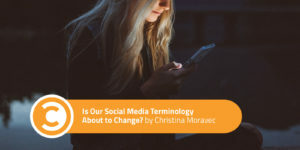 Is Our Social Media Terminology About to Change? Currently, I don’t directly manage any brand’s social media channels, though I have in the past. Instead, I most often consult in overall digital strategies that involve many promotion outlets, be it email, website, social media, and/or display. As the resident social media expert person, I blurted out, “Of course! What else would we call it? We still call TV ‘TV,’ don’t we?” I chortled. My friends chortled. We all slapped knees (our own, not each other’s). The conversation pivoted. Now that my moment has passed to have this dinner party conversation with man buns (brotrepreneurs) over cheap wine, I ask you: When will we stop calling social media “social media”? Oh, no. We already use “social” in isolation. Has the end begun? Probably. Facebook bought Instagram in 2012 (over five years ago?!). Almost immediately, the two began melding into one. Facebook introduced video; then Instagram introduced video. Instagram introduced Stories; then Facebook introduced Stories. Now, ads can be sent through both platforms at the same time, from the same tool, using the same audience parameters. Will Instagram eventually just become Facebook? Will we call all newsfeed-centric social media platforms “Facebook” in the way we colloquially deem all search engines “Google”? What happens when Facebook overtakes YouTube once and for all? YouTube, a platform I’ve always struggled to call a “social media,” had a rocky 2017. With ridiculous scandals, a massive redesign, original shows, and mixed Red reviews, who and what is YouTube anymore? For one, YouTube is a sibling of Google and therefore, undoubtedly, a powerful ad platform. However, advertising alone social media does not make, young padawan. What happens if Netflix introduces comments à la Youtube? What happens if Snapchat introduces a discovery section à la Instagram? Wait, did Snapchat kind of already do that? What happens if Twitter . . . nah, I’ve all but given up on Twitter. Nevertheless, what are we going to call all these social media platforms as they evolve? It seems to me they are outgrowing their terminology. Where is our audience likely to be in five years? What platforms should we consider adopting? Where should we be putting our digital advertising dollars? What type of content will we need to produce? Video? Audio? Are we ready to serve a mobile-first audience? What are we measuring in terms of KPIs? Are we converting? If not, why? Scary questions, right? In time, they will need to be answered. 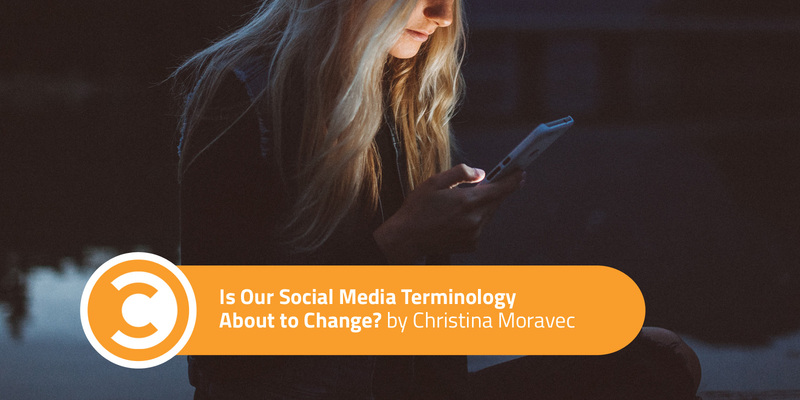 But for now, tell me, what are your 2018 predictions for social media terminology? Better yet, what changes to individual social media platforms will necessitate the evolution of our current lexicon? I’ll grab my cheap wine. Brotrepreneurs, come one, come all.